Scheduled for release on arch 10th, 2017. 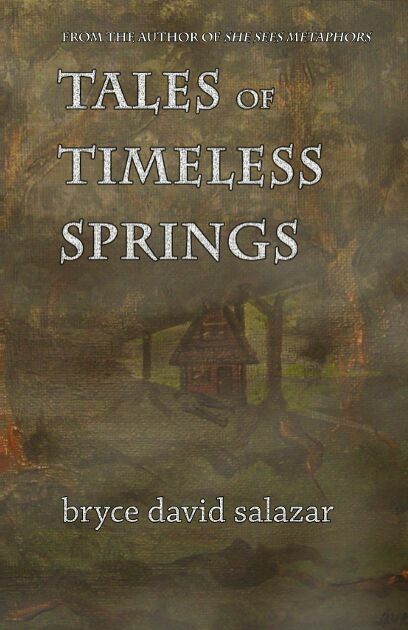 No one in history, recorded or forgotten, has ever left the city of Timeless Springs. It is deep in the middle of forgotten places, where even the loneliest of roads will not travel. The luckiest will never hear of it. The rest will find themselves there, where the selfish streets will not allow them passage back out. Through interrelated stories, a culture of strange and impossible lives open up. A dreaming prostitute can open a door to anywhere she wishes within the city. The local bartender can raise the dead. A poor old widower still argues with the ghost of his dearly departed wife. A greedy street gambler can turn back time. The popular bakery heats its oven with the fires of hell. And a stray cat just might be the man sent to kill you. Welcome to Timeless Springs, wanderer. You won’t make it out alive.